AGC of Ohio’s Build Ohio awards are presented yearly. Established in 1991, Build Ohio celebrates construction through an awards program that recognizes contractors for excellence in construction. 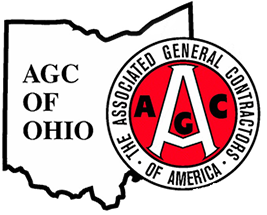 AGC of Ohio has several awards programs that honor contractors and individuals in Ohio’s construction industry. AGC of Ohio’s national counterpart, AGC of America, sponsors several national awards programs that can be found here. AGC of Ohio’s Pinnacle Award recognizes individuals who, throughout their career, represent the finest qualities of AGC contractor members - putting the needs of the industry befored individual ones. The award is not announced and is a surprise to the person receiving it.